FRANKFURT -- The head of Robert Bosch's automotive unit, Bernd Bohr, is expected to become CEO at the world's largest supplier, according to a German news report. Bohr, 55, chief of the company's most profitable division, is seen as the most likely successor for CEO Franz Fehrenbach, who will become chairman of the Bosch supervisory board, replacing Hermann Scholl, manager magazin reported, citing company sources. Bohr, an engineering graduate, began his career at Bosch in 1983 in operation scheduling in Reutlingen, Germany. He quickly rose to the position of plant manager before taking a number of senior managerial roles in marketing. In 1999, he became a member of the management board. 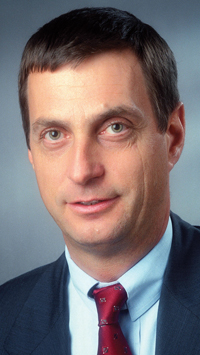 He was promoted to chairman of the automotive division in 2003. 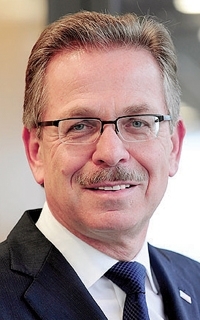 Fehrenbach, 62, has been Bosch CEO since 2003. After university, he joined the company in 1975 as a trainee before taking a number of top management positions in manufacturing. He joined the board of management in 1999. Four years later he became Bosch CEO. Fehrenbach may head supervisory board. Bosch ranks No. 1 on the Automotive News Europe list of the top 100 global suppliers with worldwide original-equipment automotive parts sales of $34.5 billion in 2010.